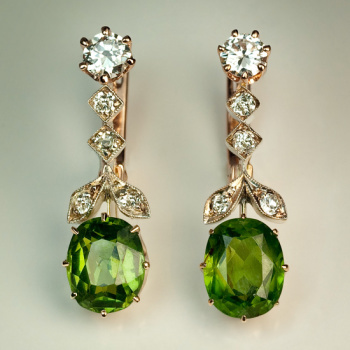 embellished with numerous rose cut diamonds. 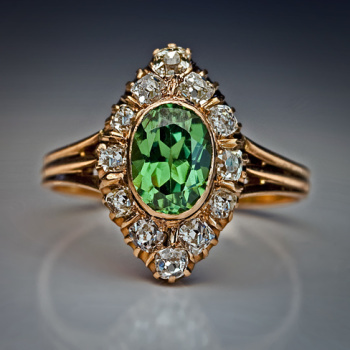 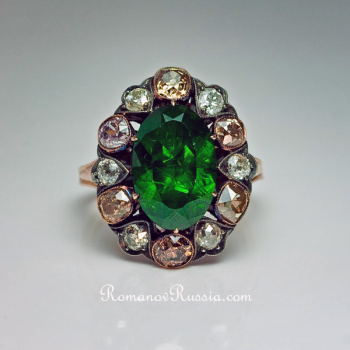 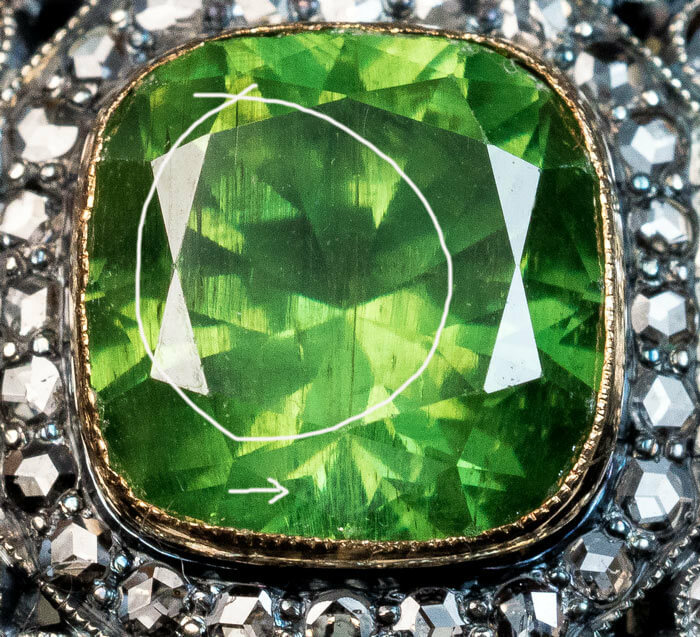 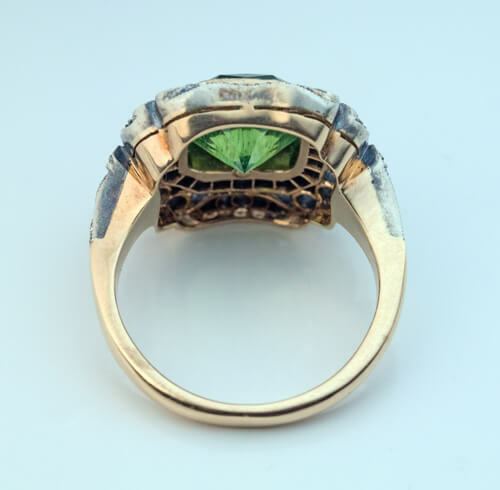 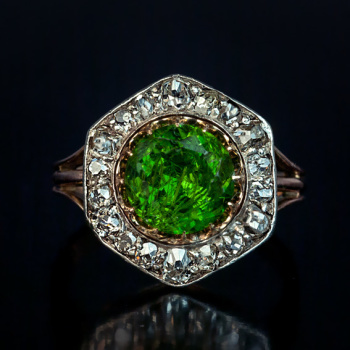 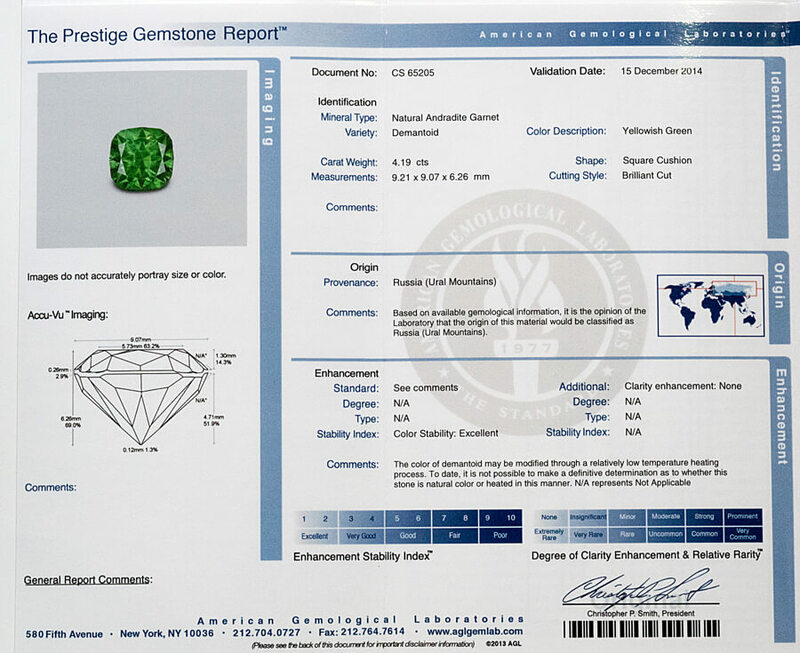 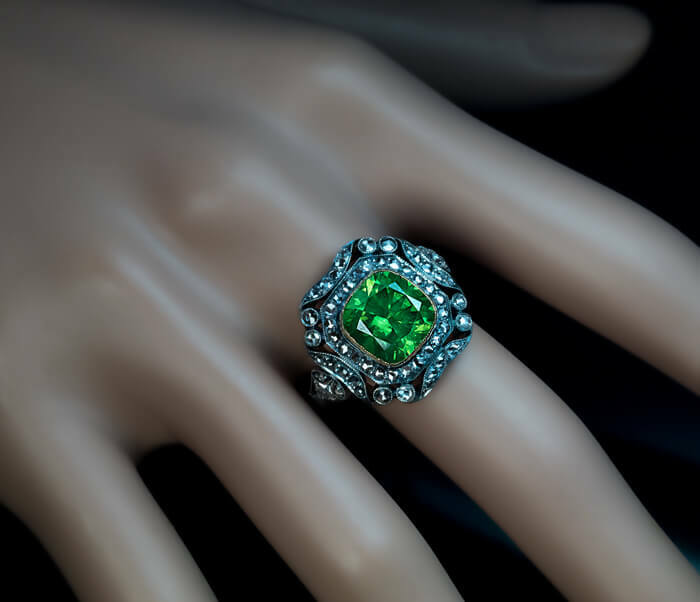 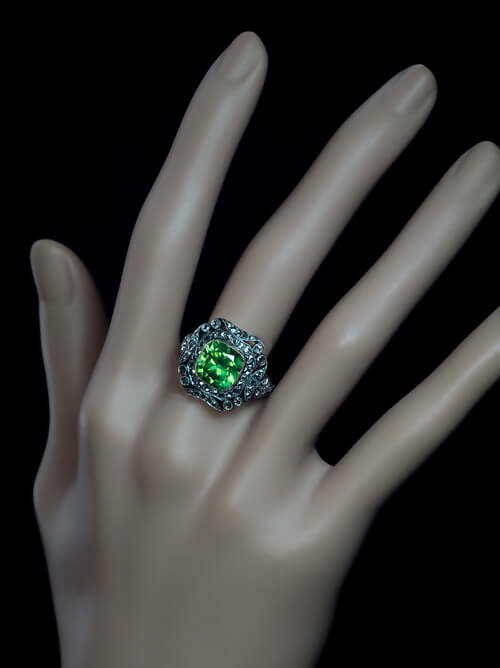 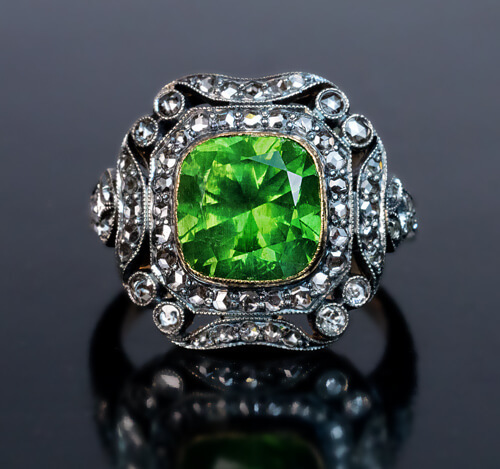 The ring is accompanied by AGL report for the demantoid. 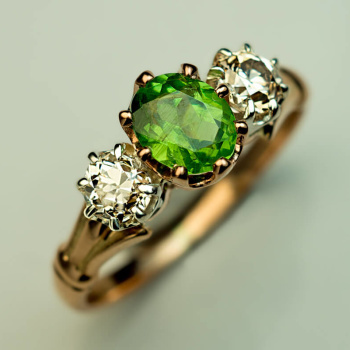 The demantoid features a prominent vertical “horsetail”, a unique feature of demantoids from Russian Ural Mountains.